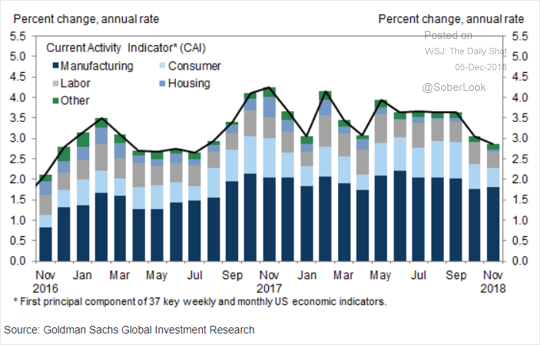 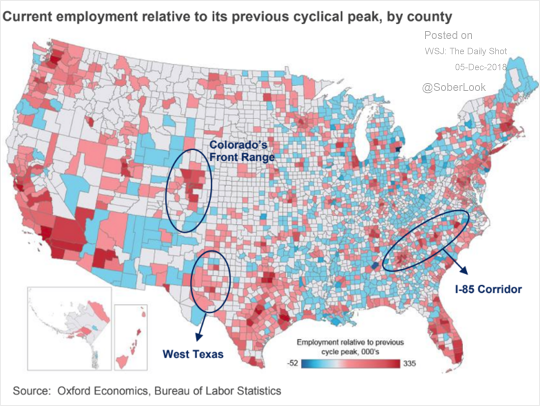 The United States: Goldman’s US Current Activity Indicator has been moving lower since September. 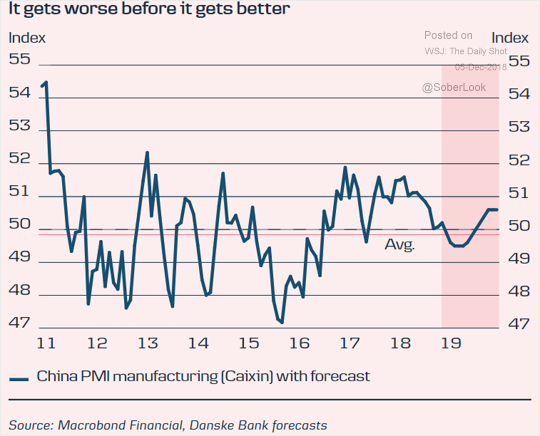 China: Some economists predict a further slowdown in China’s manufacturing sector (before stabilization). 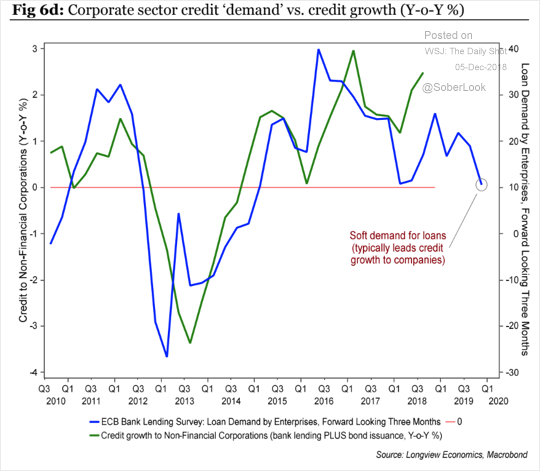 The Eurozone: Credit demand in the Eurozone has been slowing and is expected to become a drag on loan growth. 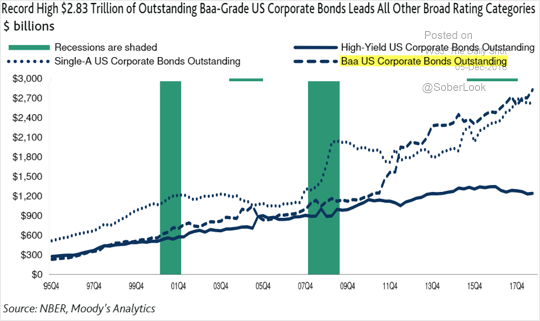 Credit: Baa-rated corporate debt outstanding is at record levels. 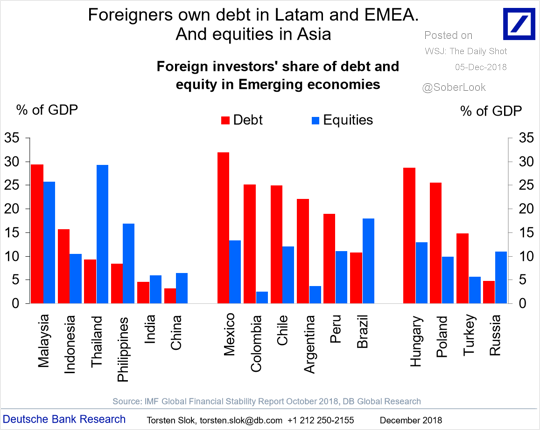 Emerging Markets: How much of EM debt and equity is owned by foreigners?